Size of this preview: 366 × 599 pixels. Other resolutions: 146 × 240 pixels | 293 × 480 pixels | 366 × 600 pixels | 469 × 768 pixels | 1,261 × 2,064 pixels. Gold barnstar for May 2016 "Month of LibreOffice" marketing campaign. 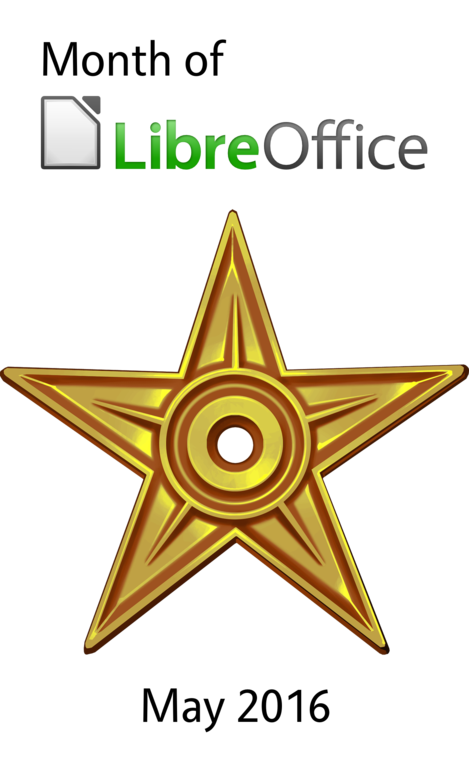 current 2016-04-25T11:53:23 1,261 × 2,064 (604 KB) Mike.saunders (talk | contribs) Gold barnstar for May 2016 "Month of LibreOffice" marketing campaign. This page was last edited 11:53:24, 2016-04-25 by Mike Saunders.